The Free Library of Philadelphia is proud to celebrate Black History Month throughout the month of February, with extensive programming set to take place in neighborhood libraries across the city including craft workshops, performances, film screenings, discussions, and so much more! Many of these important programs will be offered in tandem with our One Book, One Philadelphia program, delving into themes like racial violence, poverty, and systemic injustice through the lens of Jesmyn Ward’s gripping novel Sing, Unburied, Sing – our 2019 featured selection. Other programs are scheduled in conjunction with the spring 2019 Author Events season. Below is just a small sampling of the Black History Month events planned at the Free Library. We hope you can join us for these or others – be sure to browse our event calendar for full offerings! Representatives from African-American historical and cultural institutions throughout the city will be available to share information and answer questions about their respective organizations. During a scavenger hunt through the library, children will learn information about well-known black authors and illustrators. 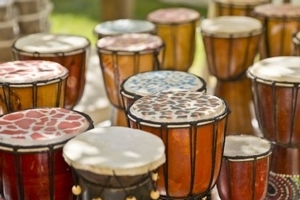 Mr. Baba Tyrone will present a program on drumming, with attendees able to try them out! Celebrate Misty Copeland, the first African-American to become principle dancer at the prestigious American Ballet Theatre, by joining us to view a documentary about her life. The Wynnefield community and library staff are invited to share creative expressions through the spoken word on topics themed around the African American experience. "Sisters in Freedom: The Daring Battle to End Slavery" tells the story of the brave women who banded together to fight slavery before abolition. Followed by a panel discussion. Looking for another way to celebrate Black History Month with the Free Library? Visit the ongoing exhibition on view in the Parkway Central Library. 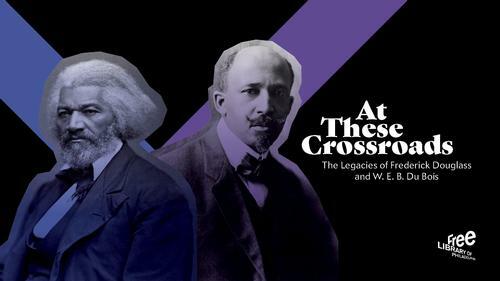 At These Crossroads: The Lives and Legacies of Frederick Douglass and W. E. B. Du Bois marks the bicentennial and sesquicentennial, respectively, of Douglass’ and Du Bois’ births. We’re looking forward to celebrating all month long – check back throughout February for more blog posts highlighting the culture and contributions of African Americans in Philadelphia and beyond. The Free Library will host Black History Month programs and events at neighborhood library locations across the city. I would really love to have and share a list of book recommendations by black authors. Will something like that be happening this month? Love to learn more about black women here and now at this present time . 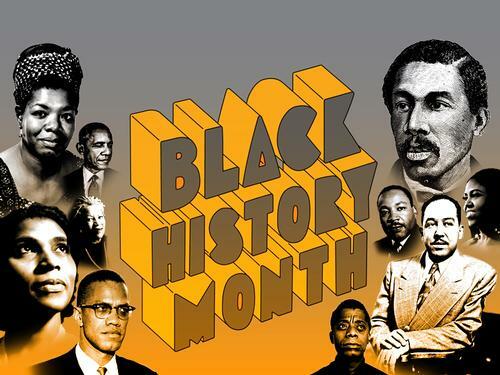 would like lists of books, Authors, and events relevant to black history month in celebration of the advancements n achievements made by black people in this country n round the world. I Thank God for Black People and for all People He has created and made! to God be the glory, in His Son JESUS name! one thing about being in Christ Jesus, is that there IS NO RACISM IN JESUS, AMEN! Add a Comment to The Free Library Celebrates Black History Month!